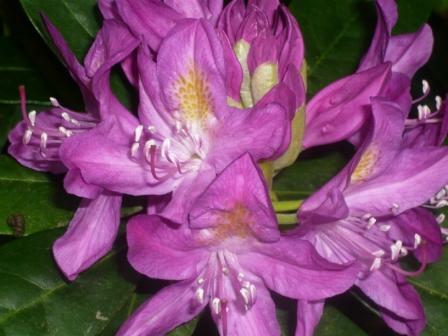 Is it the nectar, pollen or colour that attracts bees to flowers. May be it is all three! Just watch bees swarm over Thyme when in flower. Cistus only seem to flower for one day then the petals drop. Resting in the sun this Bee seems content with life. 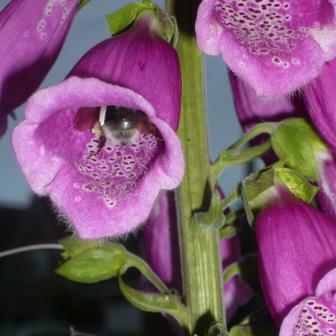 Foxgloves have long tubular flowers so the Bee has to crawl right in to get the nectar. This moves pollen from flower to flower and Foxgloves then produce thousands of small powdery seeds. 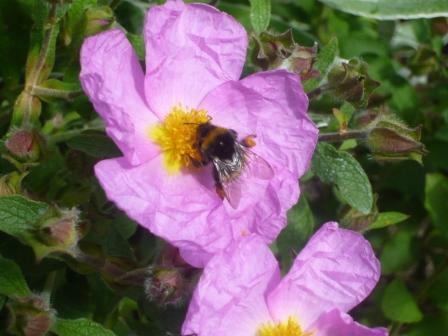 Not a strictly purple colour but this image has appealed to me as the flower appealed to the Bee.